Provides information about chemical composition of sample and is able to detect compounds present at >5%. 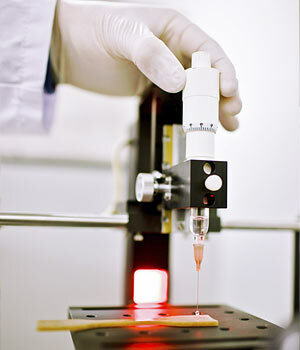 Uses: Determine chemical interactions between different components Identification of materials. Routine analysis (quantification and/or comparative identification) of components in mixture by GC-MS. Volatile materials identification in solid and liquid samples by Headspace GC-MS. 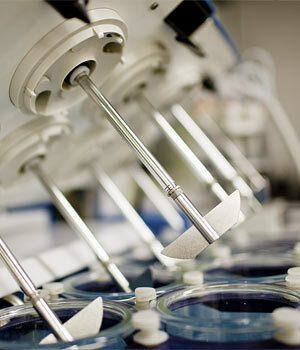 This analytical technique provides surface as well as elemental information about inorganic fillers. In-line Pharmacopeia standard method for the detection of the release rate of active pharmaceutical ingredients through UV detection. Manual sample collection and analysis through HPLC also possible. Uses: Identification of thermal transitions of polymers according to IS EN ISO 3146:2000; Method C2. Uses: MFI is the primary polymer property used to determine batch consistency and specification conformity. Percentage inorganic Content (including % Carbon Black and % CaCO3) based on ISO 11358. Determination of the storage (elastic) modulus, loss modulus, viscosity and shear strength of swollen or molten polymers. Twin pore and parallel plate rheometers available. Mechanical Strength of standard test specimens for calculation of Tensile, Compression and Flexural properties. A variety of load cells are available from 50N to 200 KN. 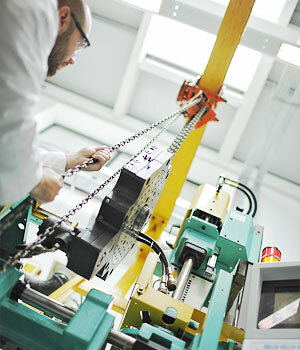 Tensile testing to measure material strength and elongation (flexibility). Compression testing eg pipe, tubing. 3-point bend flexural testing to measure flexural strength and modulus (stiffness). Weld strength, tear strength and bond strength. Customised testing eg force to snap-fit product, force to open casing, resistance to high loads, product safety, and so on. Accelerated oven ageing to determine lifespan of product. Oven ageing to verify Product Shelf Life stability of Medical Products. Humidity chamber also available for more specific environments. UV light is responsible for almost all photodegradation of durable materials exposed outdoors.